What are minimum parking requirements? Minimum parking requirements (MPR) are laws requiring new buildings to include a fixed number of off-street parking spaces based on an assumed demand for parking generated by the buildings' use. This dates back to the early 1950s with its rapid urban and suburban development, resulting in an explosion in the number of cars worldwide and a shortage of parking. Some cities went so far as to use MPR to define the number of parking spaces for small businesses such as car washes or fruit stands, but they were more commonly assigned to bedrooms, classrooms or retail spaces. However, as urban spaces have become ever more crowded, many cities around the world are reconsidering the MPR concept. One of the biggest concerns with MPR is that they waste a great deal of space by applying a "one size fits all" solution to a complex and evolving situation. In one European country, for example, theatres and cinemas were required to provide one parking space for every three seats. This is a waste of valuable land, as these venues are rarely fully occupied, plus a lot of visitors will walk, cycle or take public transport instead, meaning at least half of the parking spaces go constantly unused. City planners and developers can often identify countless examples of wasted urban land due to MPR. 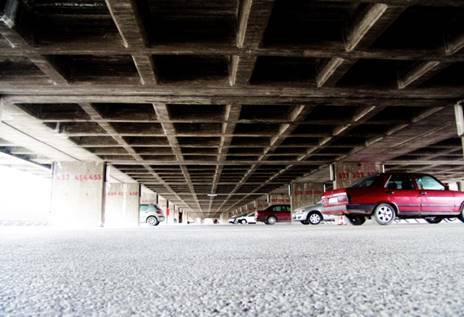 Increasing urban populations are demanding more living space and MPR has led to the creation of excess, poorly-distributed and under-utilized parking facilities in many European cities. Some of these have taken steps to repurpose this valuable land, e.g. Zurich and Hamburg were leaders in the revolution against minimum parking requirements. Both have frozen the number of parking spaces in their city centers, eliminating one on-street parking space for each new off-street parking space. Excellent transit access and poor car access. Good transit access and good car access. Good car access and poor transit access. This made it easier for Dutch cities to allocate land for parking versus other uses. Government schemes for utilizing private parking areas for public use. Adjusting parking prices to manage or redistribute parking. Mandatory bicycle lanes and parking spaces. Avoiding large, centralized parking structures in favor of smaller, more space-efficient parking facilities. The demand for driving and parking will continue to be a challenge for decades to come and the focus of all MPR alternatives is the more efficient use of land. An example of this is by integrating parking solutions into less valuable or otherwise unusable areas. Automated parking systems like those from Skyline Parking are the key to space-efficient parking and an ideal way to solve the issue of minimum parking requirements in Europe.